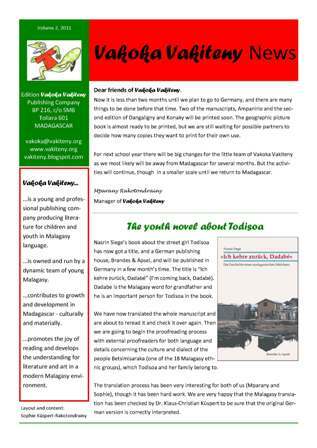 On 29th July, 2018, the Association for School and Children’s Books in Madagascar held its Annual Meeting in Baden-Baden, Germany. The chairperson, Dr. Klaus-Christian Küspert was happy to inform the members about another successful year of the Association’s work. The financial situation and the administrative and financial routines are good, and the annual reports could be approved without amendments. It is a particular pleasure to state that the number of active members has grown to 19, 12 of which were able to join the annual meeting. The treasurer, Mr. Kienzler, gave a report on the financial situation of the Association. Since there are no administration costs, all revenue (donations and membership fees) are in full available for transfer to the partner, Vakoka Vakiteny. Since there was a major transfer as of 11 618,86 € for the printing and distribution of the environmental book Madagasikara sy ny voahariny – Madagascar a living museum early in 2017, no transfer request was received during the last 12 months. Thus, an amount as of 6.991,48 € is available for transfer to Vakoka Vakiteny. The flow of information from the Malagasy partner, Vakoka Vakiteny is good due to frequent Newsletters (cf. this web site) and additional communication. This year, the members of the association were happy to welcome Mr. Mparany Rakotondrainy and Mrs. Sophie Küspert-Rakotondrainy to the annual meeting for receiving first-hand information about the work of Vakoka Vakiteny during the last year, the current situation and the future plans. Mparany and Sophie could inform the members of the Association that the distribution of the book about nature and environment in Madagascar; Madagasicara sy ny voahariny – Madagascar a living museum, has started successfully. This book, originally written by the Norwegian biologist Jon Bakke and thoroughly revised by the team of Vakoka Vakiteny, was printed in 2000 copies, 1650 of which were financed by the Association for School and Children’s Books in Madagascar. The is book was the hitherto largest task of the small Malagasy edition Vakoka Vakiteny, and the feedback from teachers, students and parents is overwhelmingly positive. In some schools, it is the only textbook available as a class set, and despite its certainly not easy topic and language, it is even used as a textbook in both Malagasy and English classes. 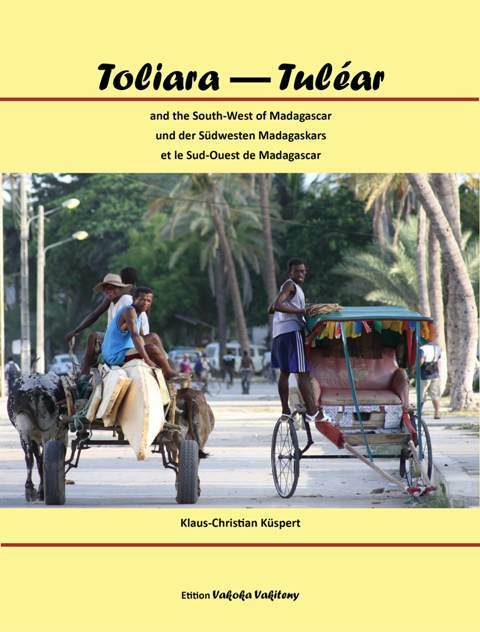 Since this book with well-founded texts in English and Malagasy about the unique, but seriously threatened nature of Madagascar is surely of interest to a larger readership, it was suggested that it should be made available as an e-book. An easier availability might increase the interest in the severely endangered biodiversity of Madagascar and encourage people to contribute to its protection. For the coming year, the representatives of Vakoka Vakiteny presented a couple of interesting ideas for new books for Malagasy children and youth. For one of these books, Fano sy ireo fako an-dranomasina (Fano and all the rubbish in the ocean), written by a British-Malagasy couple, Vakoka Vakiteny asked for support from the Association. 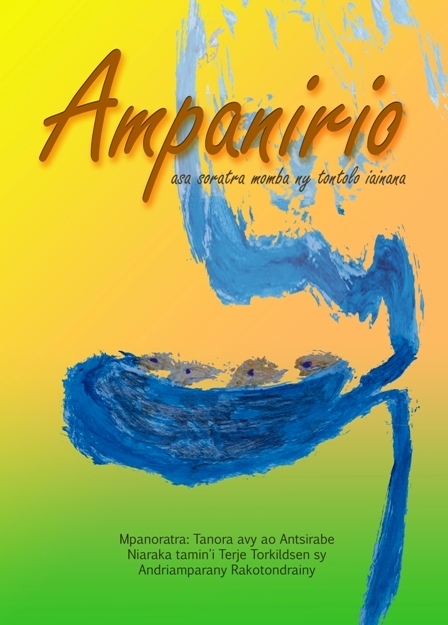 The manuscript is richly illustrated and tells in a language that is easy to understand, even for smaller children, about the dangers posed by the pollution of the oceans by plastic waste - a highly relevant subject for Madagascar. The Association is happy to support the printing of 1500 copies of this book. Since the high donations of 2016/2017 will have to be considered as an exception, efforts for raising funds will have to be strengthened in the future. For this sake a Flyer about the Association for School and Children’s Books in Madagascar, as well as a video about the work of Vakoka Vakiteny has been produced. The Flyer will be printed in 1000 copies and distributed by the members of the Association. Furthermore, ideas were collected for extraordinary fundraising and publicity events in 2019 - the 10th anniversary of the Association. Thus, all members of the Association for School and Children’s Books in Madagascar are urged to contribute with ideas and to participate in the preparation of the forthcoming events. Mrs. Hanta is continuing to distributing books to schools and institutions and participating in different events. She is frequently invited to cultural arrangements, presents books and trains teachers in the use of literature. Mrs. Hanta continuously evaluates the use of the books produced and distributed by Vakoka Vakiteny. The evaluation shows that the work of Vakoka Vakiteny is highly appreciated, and that there is a high demand for new and earlier released books. Mrs. Hantas work contributes a lot to the success and reputation of Vakoka Vakiteny. It was unanimously decided that the activities of the Association for School and Children’s Books in Madagascar will continue also in 2018/2019; the membership fee was increased from 20 € to 25 €. All members and supporters are encouraged to continue with recruiting new members and with gathering support for the work of Vakoka Vakiteny. They are requested to enhance the publicity activities e.g. by writing articles, actively promoting the work on the internet, and particularly by participating in the organisation of the publicity and fundraising events next summer. Information materials about the Association and about Vakoka Vakiteny will be available for all through the Board; furthermore, the web-page and the newsletters of Vakoka Vakiteny function as an excellent source for information. .